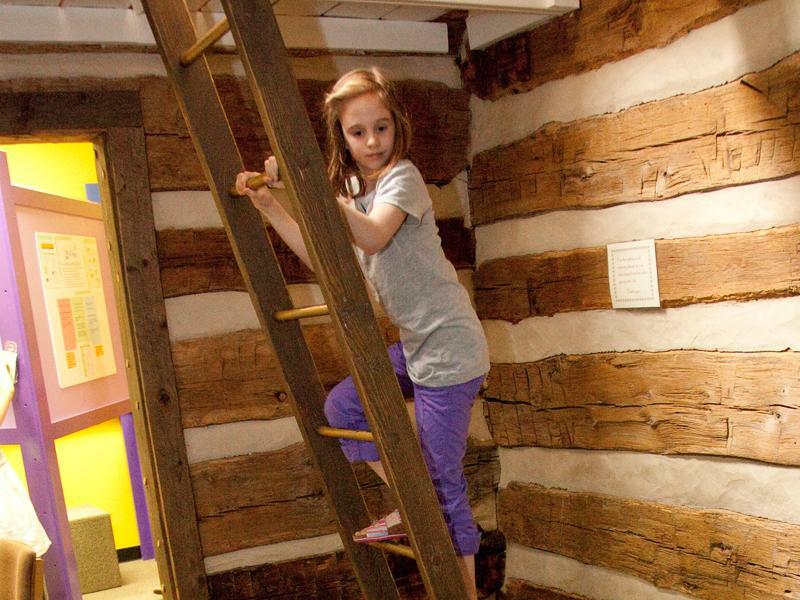 Cabin Loft: Climb the ladder to peer out the skylight or the window overlooking the gallery. 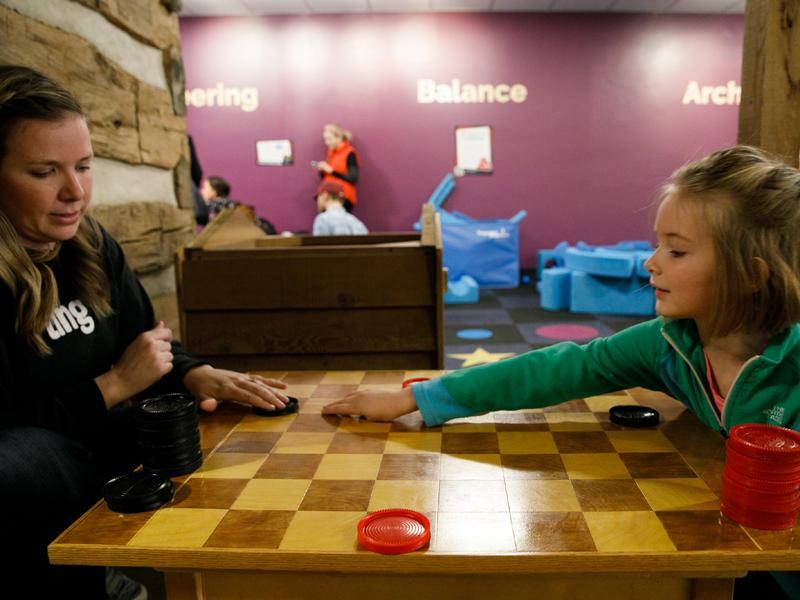 Porch Games: Spin the top in Skittles, jump to victory in checkers, or match, stack, and topple giant dominoes. 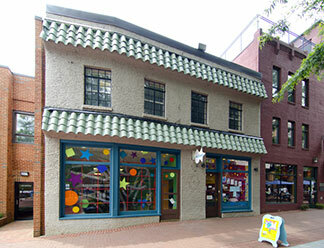 Quilt Board: Create a colorful “quilt” on the tactile felt squares. 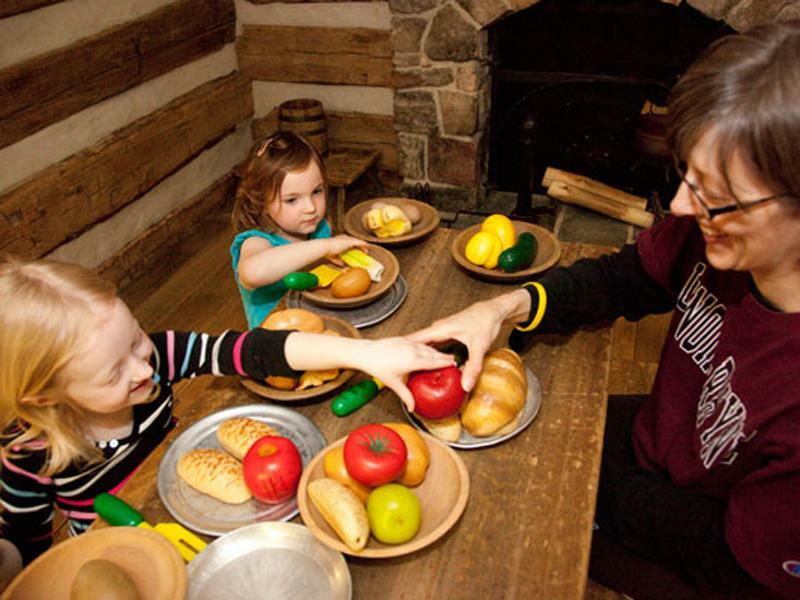 Travel back in time to the 18th century as you step inside the Museum’s log cabin. 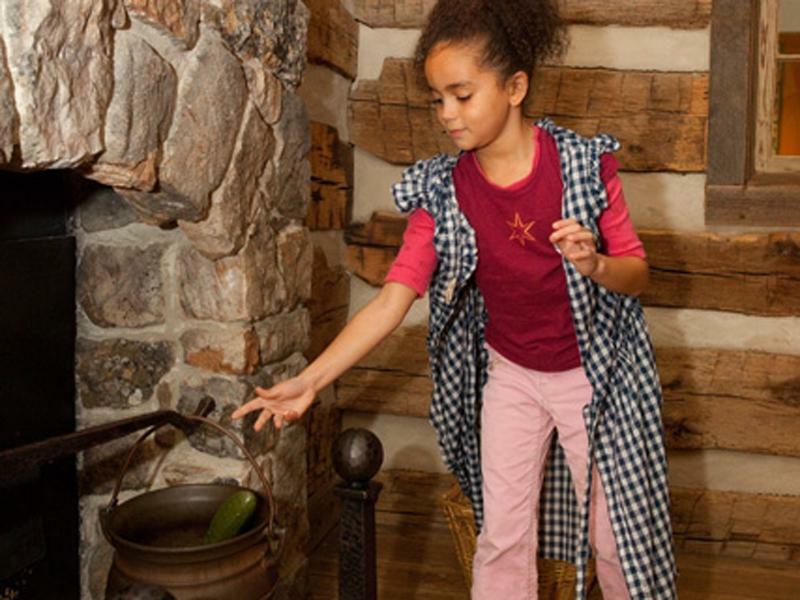 Don period clothing, prepare a meal over the fireplace, and care for the critters who call the cabin home as your little one engages in imaginative play and discovers how life was different in Virginia hundreds of years ago. 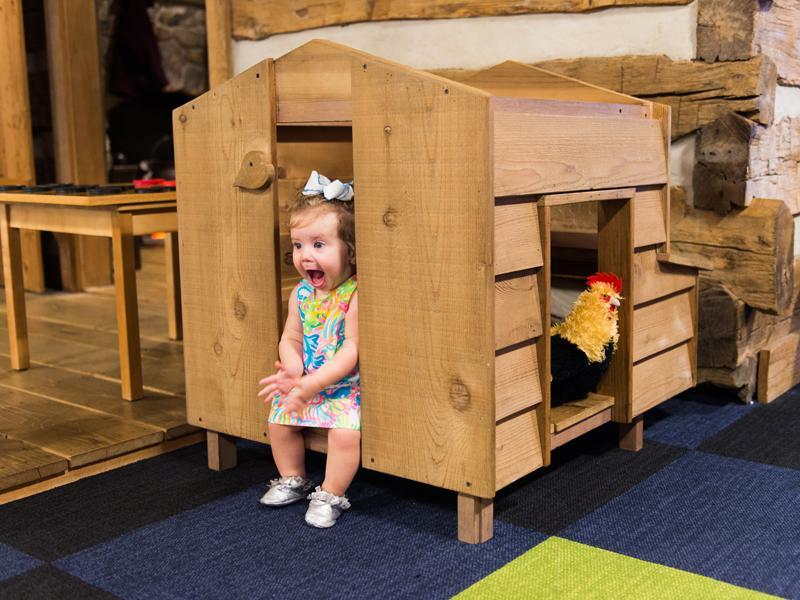 Originally built in Rockingham County, Va., in the 1700s by the Showalter family, the cabin was relocated to Charlottesville and installed in the Museum when it first opened its doors on the Downtown Mall in 1990.